Choosing a toothpaste for you and your family isn’t as easy as it used to be. With so many options to pick from, how do you know if you’re using the right toothpaste? From fluoride to tartar control, whitening to easing tooth sensitivity, the multitude of options is confusing. But don’t worry, the Chesapeake dental office of Dr. Tanya Brown wants to go back to the basics and explain what you should look for. Besides looking for the ADA’s approval, the most important component of a toothpaste is the ingredient fluoride. Fluoride has been proven to protect tooth enamel from decay and is crucial to maintain a healthy mouth. 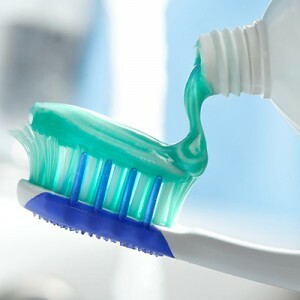 In fact, according to the Academy of General Dentistry, brushing with a fluoride toothpaste twice daily can reduce tooth decay by as much as 40%. While using a fluoride infused toothpaste twice a day is a great at-home routine, it’s also very important to keep up with regularly scheduled professional cleanings and checkups. The Chesapeake dental office of Dr. Tanya Brown can help get your smile back to health and keep it that way. If you’re due for a checkup or dental cleaning, give us a call today to schedule your appointment.